We are counted amongst as the foremost manufacturers and suppliers of a premium quality range of Automation Solutions like Inspection Automation, Process Automation, Testing Automation, Packing Automation, Robotic Palletizers, Robotic Welding, etc. The offered products are manufactured using high quality raw material and advanced technology as per the set industry standards. Available in different specifications as per their specific needs of clients, these products are widely acknowledged by our clients for their features like high durability, robust construction, longer service life, easy maintenance, dimensional accuracy and many more. 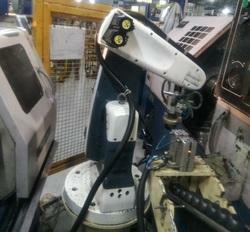 With the assistance of our trained professionals, we provide Robotic Solutions Services to our clients. 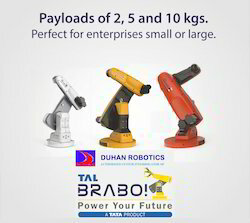 We are authorized channel partner & system integrator of TAL Brabo Robot. These solutions are highly praised by our clients, spanning across the nation. Our professionals provide these services as per the detailed specifications of our valuable clients. 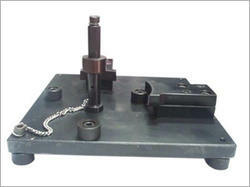 These solutions are highly treasured for their high quality standards and reliable performance. Clients can avail these high quality solutions at reasonable price. Our rapidly growing organization is offering a high quality Industrial Automation solutions. The offered solutions are executed under our accomplished and skilled professionals using sophisticated and modern techniques in accordance with the industry standards. Apart from this, with the support of our skilled professionals, we are able to acquire a strong foothold in this market and highly praised by our clients for their usage of flexibility & latest management policies.